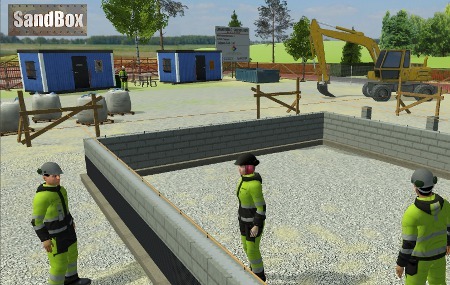 Sandbox is an educational game aimed for house builder students, made with realXtend engine. It teaches the process of building foundations for a house. 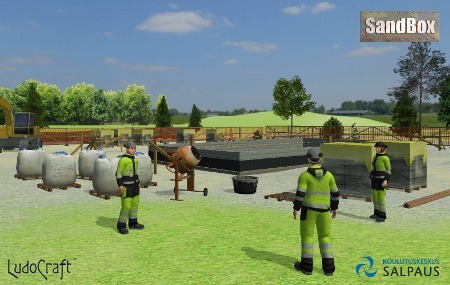 The game was built in collaboration with Salpaus Further Education. Game’s core consists of reading blueprints and doing calculations. Players must go through the building phases one by one in correct order and produce good results in every turn. Poor results eat away building budget which has to be on a good enough level by the end of the building process for the player to be successful.